In a new holiday campaign airing this season, Ted Danson and Red Cross encourage you to forget all the "stuff" that stresses you out during the holidays and do something that makes a difference instead. 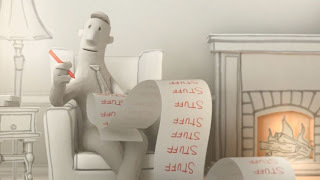 The :60 animated campaign builds a bit of suspense throughout the ad, leaving you wondering who is talking to you and what message they have to tell. "This year, let's take a break from all this stuff and give something that means something. Give the gift of hope, help and compassion to someone who needs it most ... whoever they are." Red Cross. The signature Red Cross red color is used throughout the ad. At its conclusion, the gifts of hope, love and compassion are placed into a box that opens into the American Red Cross red logo. 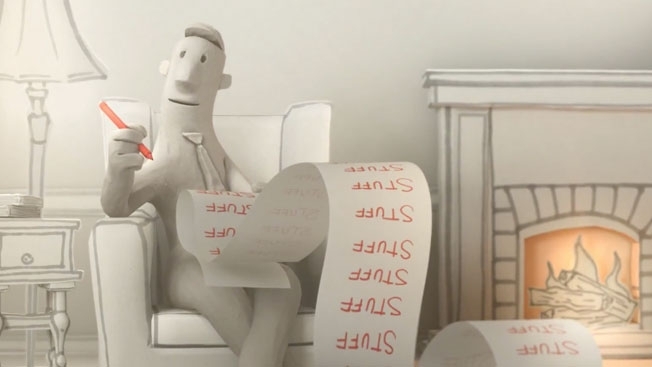 An utterly charming campaign, with a heartfelt message. So, visit American Red Cross this holiday season and make a donation in the name of the people on your list this year. 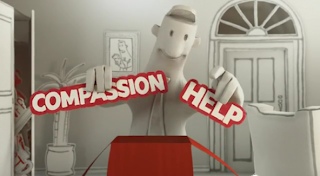 Red Cross urges you to offer compassion and help to others. What a great video - wish I had seen it prior to Christmas. Love how they keep saying "STUFF". Lisa, I couldn't agree more. I didn't see the ad until a few days ago! Dr. Dre Ad Splashes Color (and Best Buy)! Brooks Brothers Asks You To "Share The Sheep"